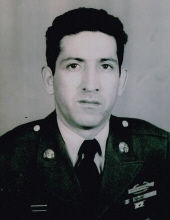 1SG (Ret) Elfego Gomez, Jr.
Gary Lavelle Craven, of Castle Rock, Colorado, passed away on August 1, 2018. Please join his family and friends in the celebration of his life. John David Bergstrom, 60, died July 23, 2018, in Johnson Village. He was born Dec. 21, 1957, in Leadville to Arthur J. Bergstrom and Mary L. Bergstrom. Virginia Martin Perry, 102, of Salida died July 29, 2018.She was born Oct. 4, 1915, the youngest of nine children, to Lee and Alice Martin in Concord, N.C.
Mark J. Barker, 63. Cremation, Montgomery & Steward Crematorium. 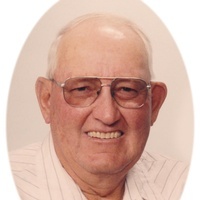 Joe V. Romero, 82, of Walsenburg, Colo. Sunrise, July 21, 1936, Sunset, July 30, 2018. Joe passed away peacefully on July 30, 2018, surrounded by his loving family and friends. At his request cremation has taken place with no services. Stanley Arthur Johnson, 72, passed away on Aug. 2, 2018. Arrangements pending. Book of Memories –> Obituary/Death Notice Maps & Directions Tributes/Condolences Place a Memorial Candle Family Login Helen Nelson March 22, 1918 – August 03, 2018 Helen C. Nelson 100, died peacefully at her home in Longmont on August 3, 2018.